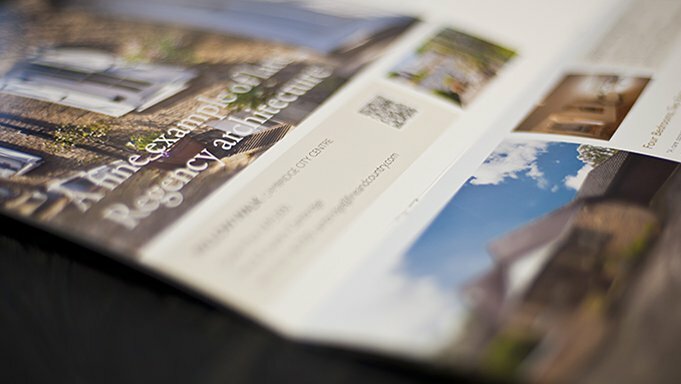 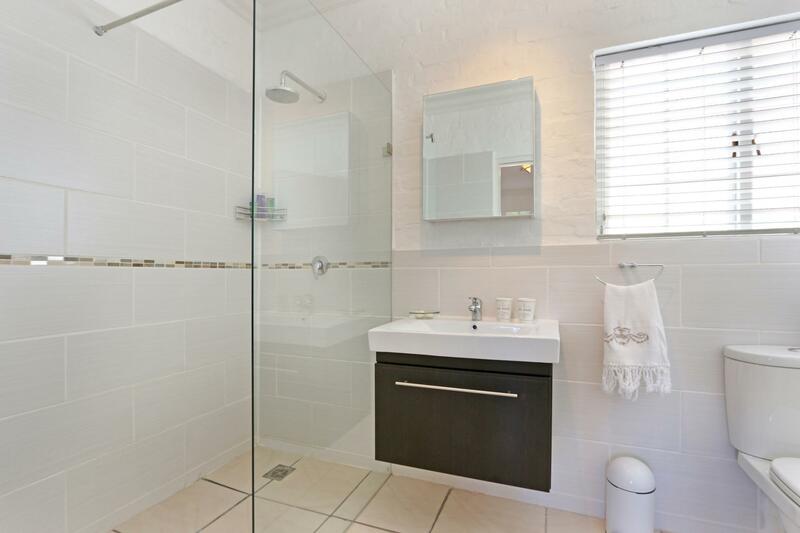 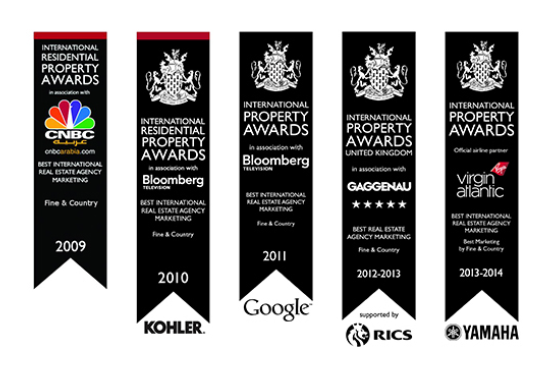 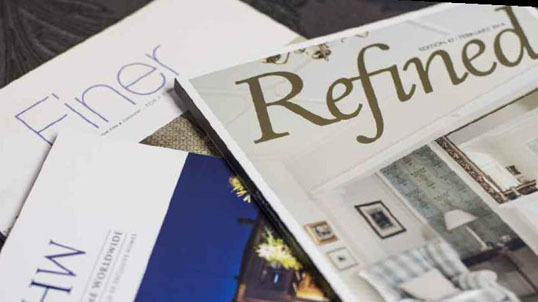 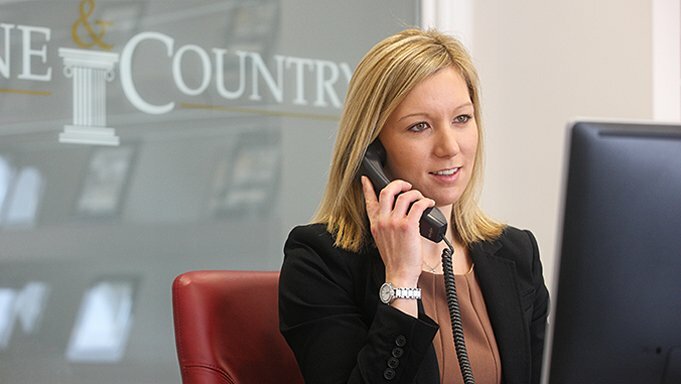 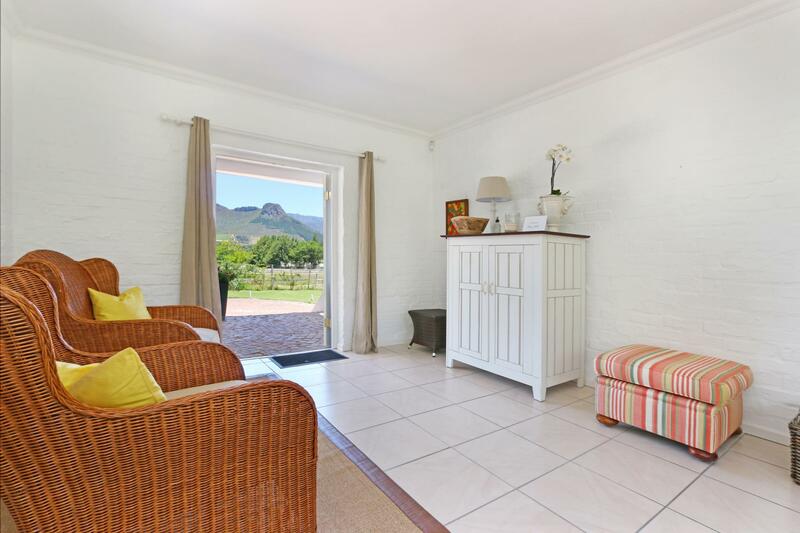 Beautifully renovated country style farmhouse with upmarket finishes including walnut floors and contemporary styling. 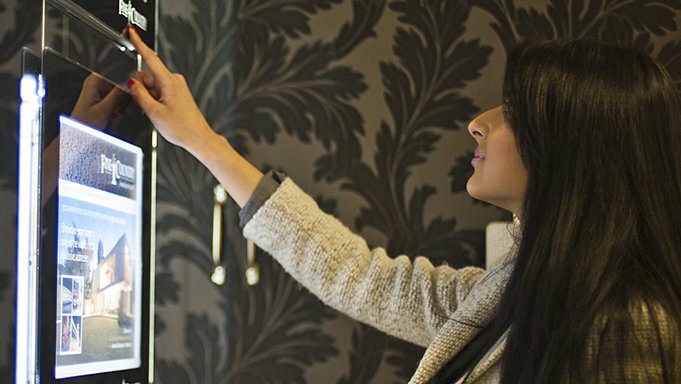 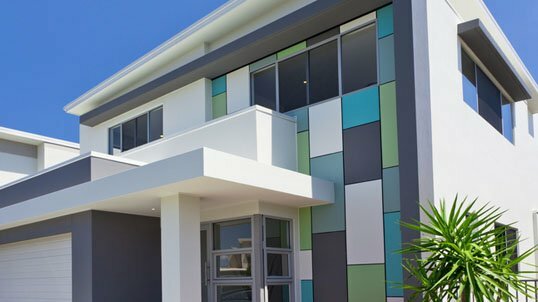 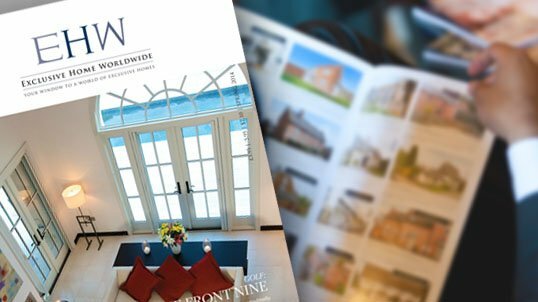 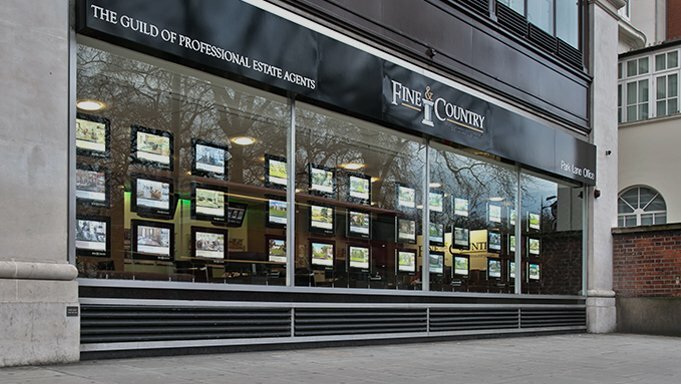 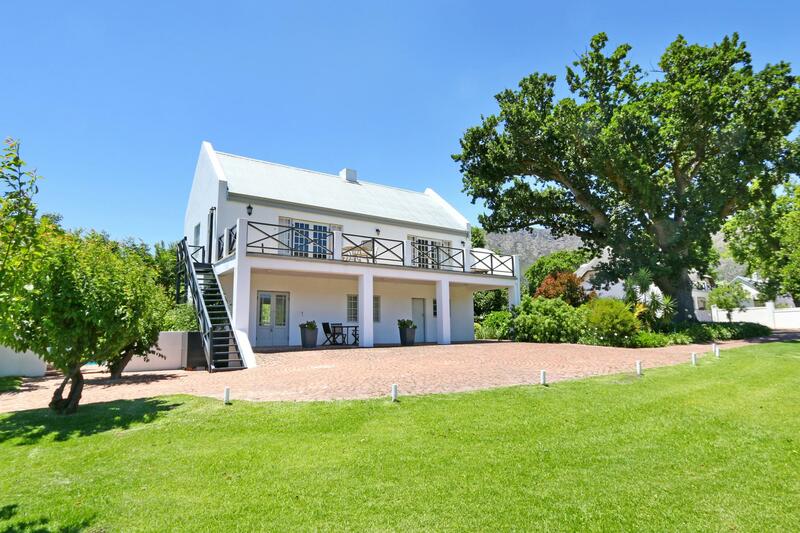 Three bedrooms en-suite, spacious living room, dining room, separate country-style state of the art kitchen and an underground wine cellar. 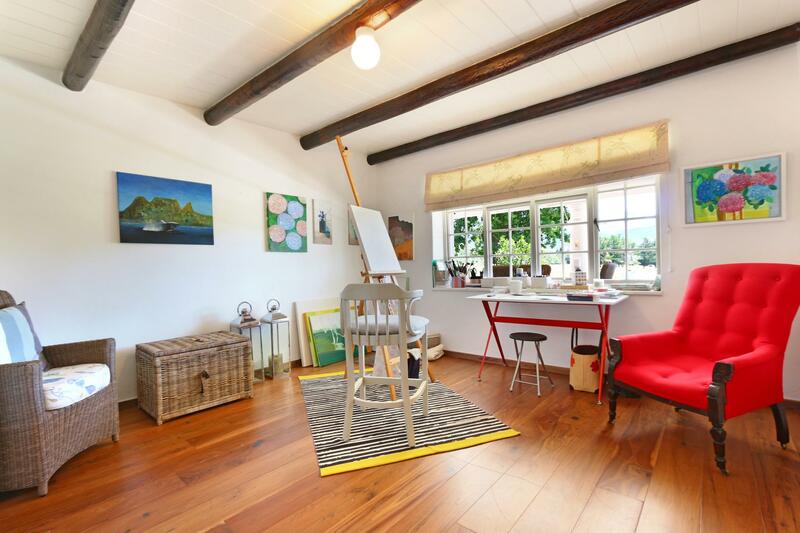 Upstairs includes a large open plan study and second living room. 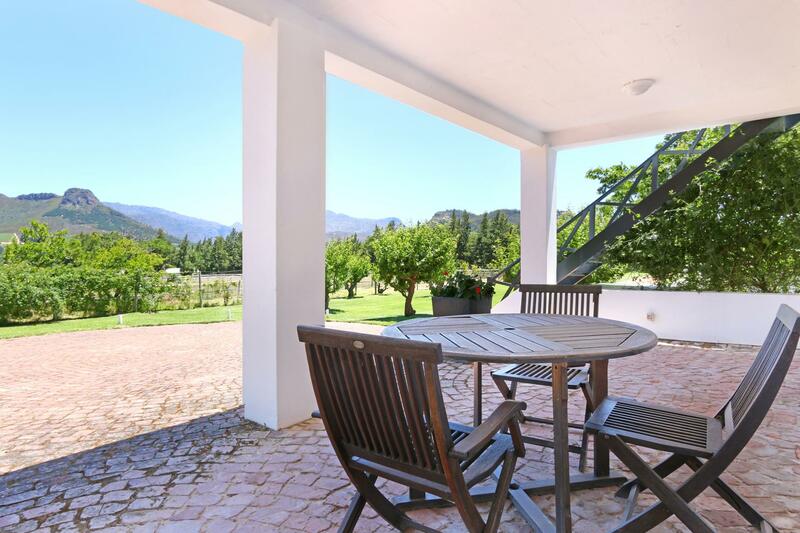 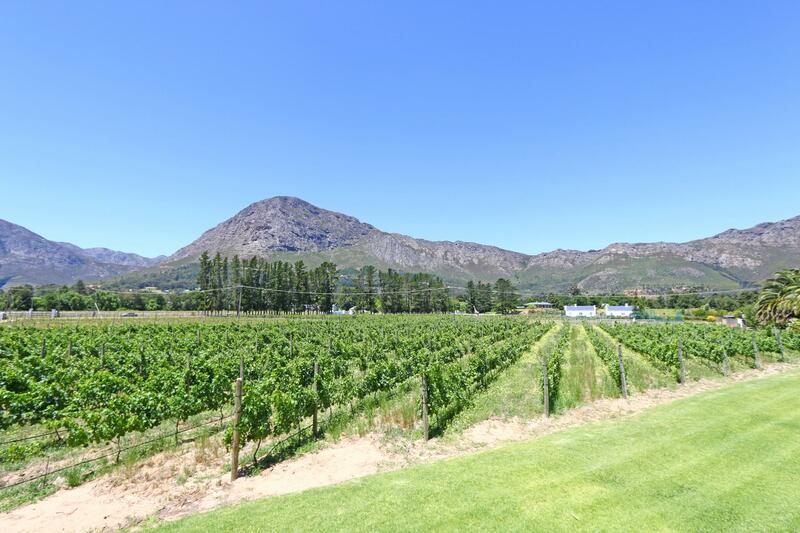 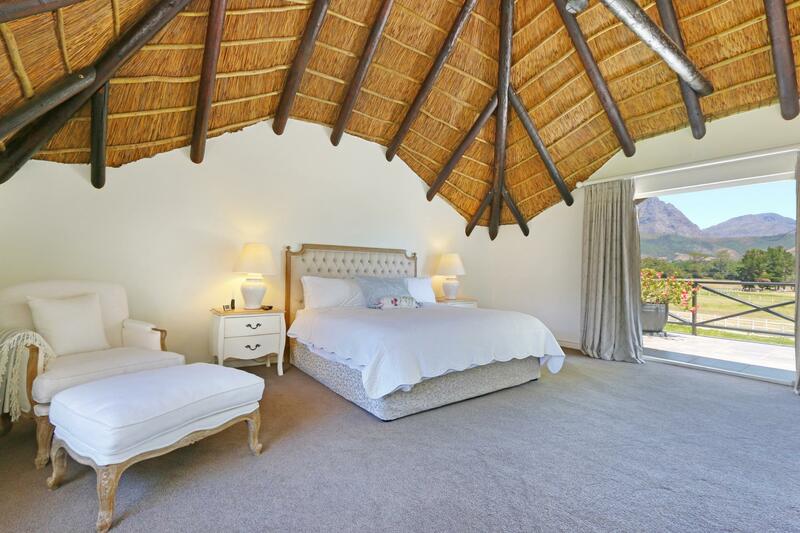 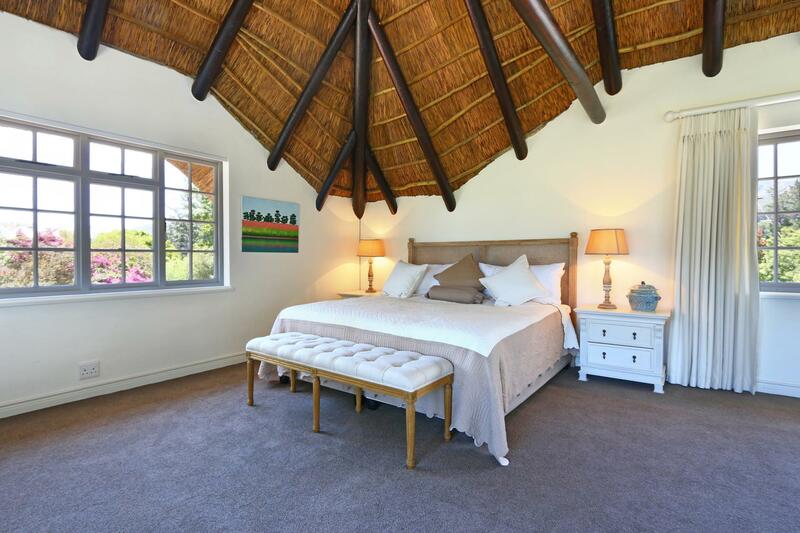 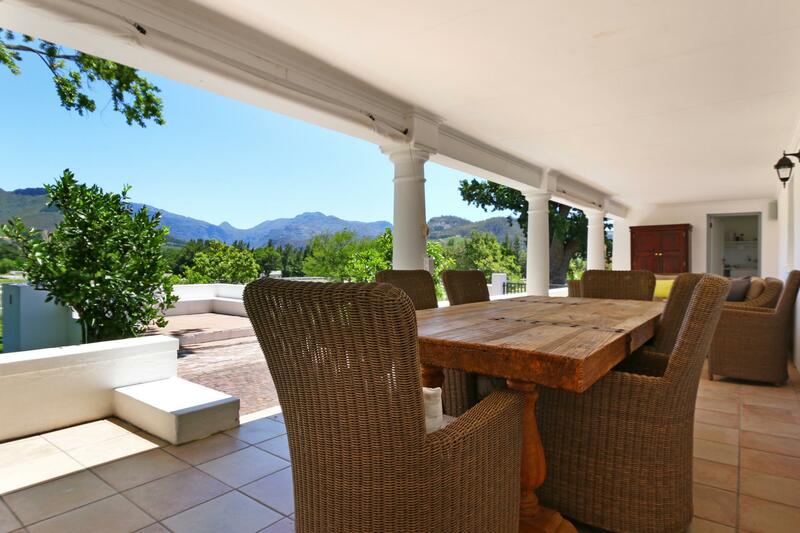 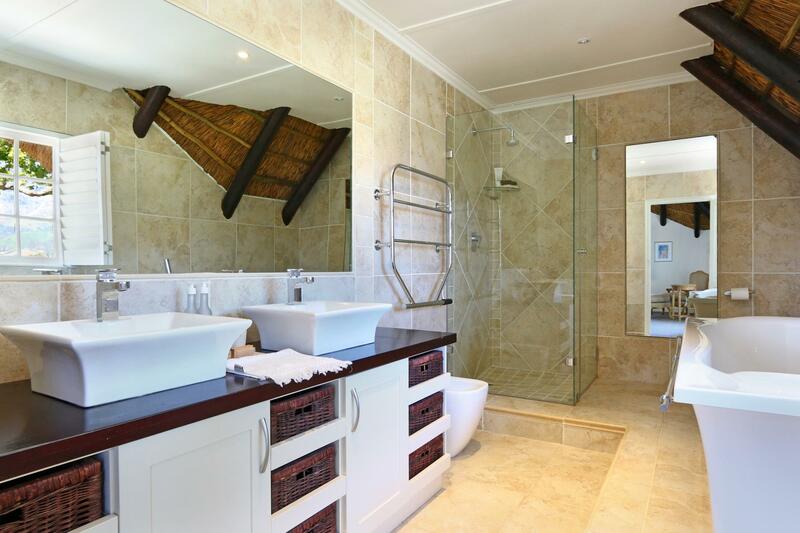 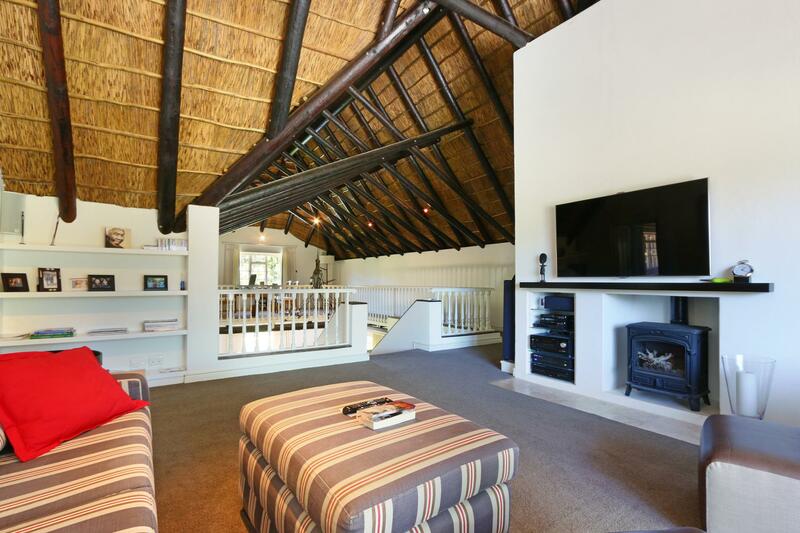 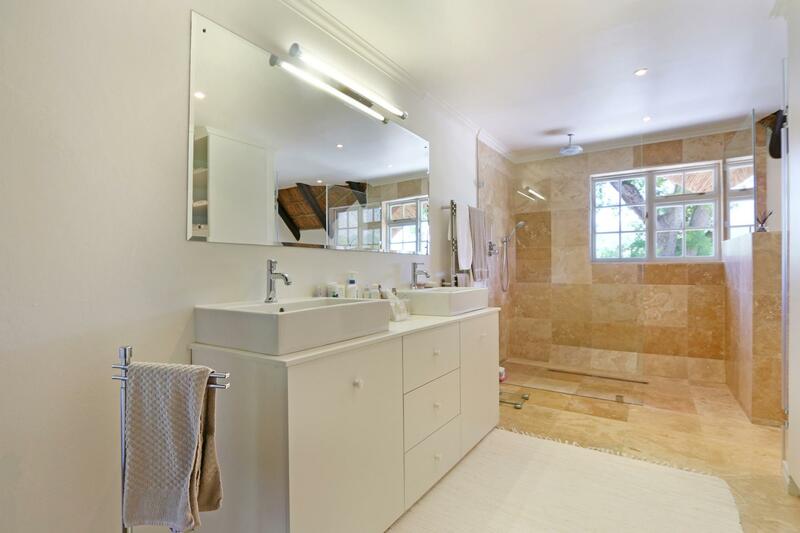 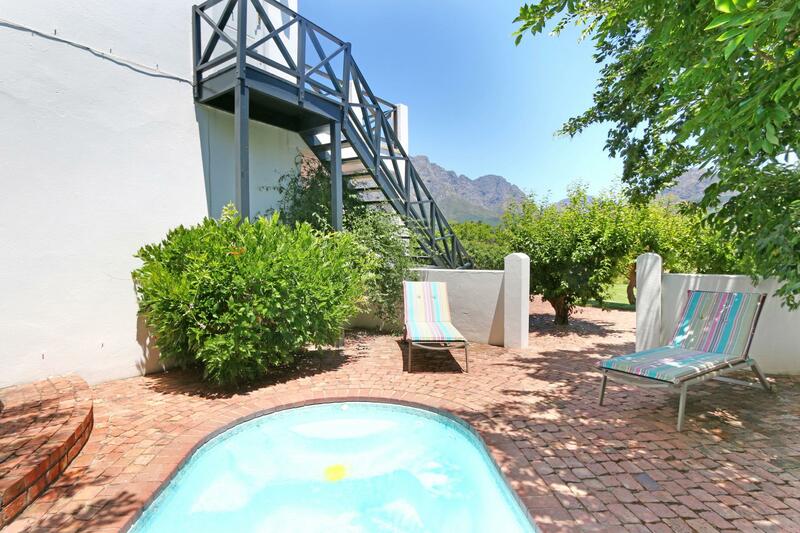 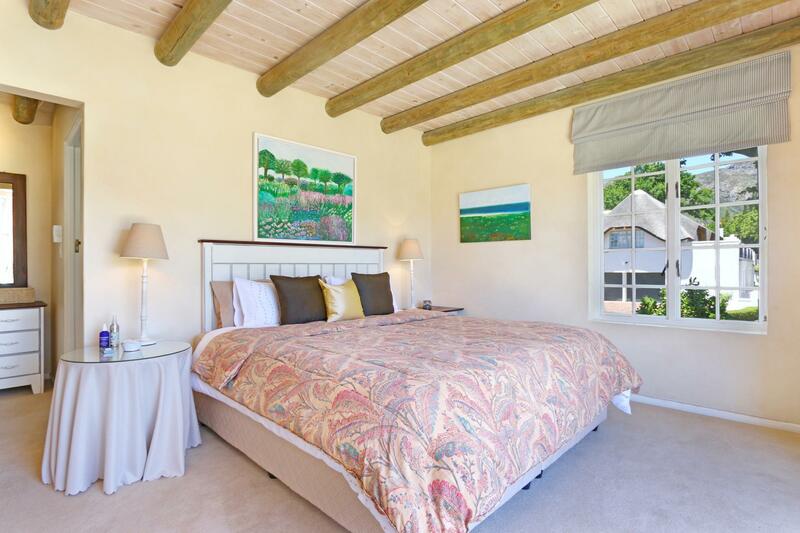 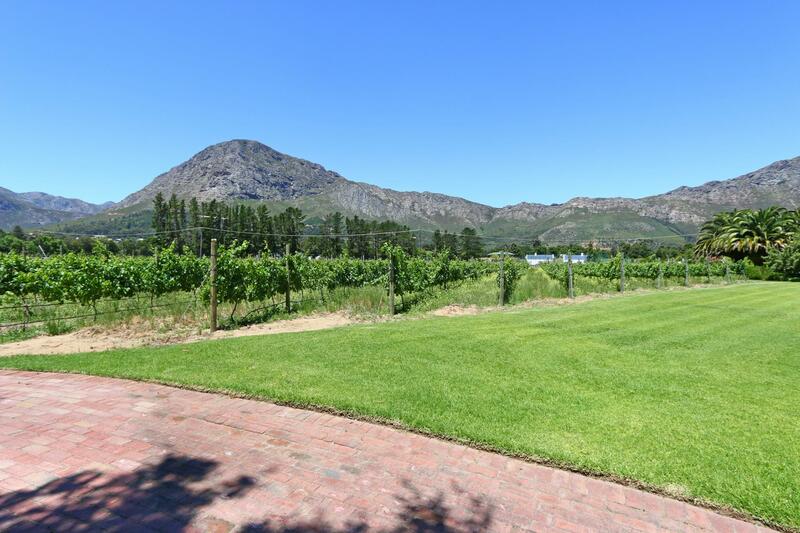 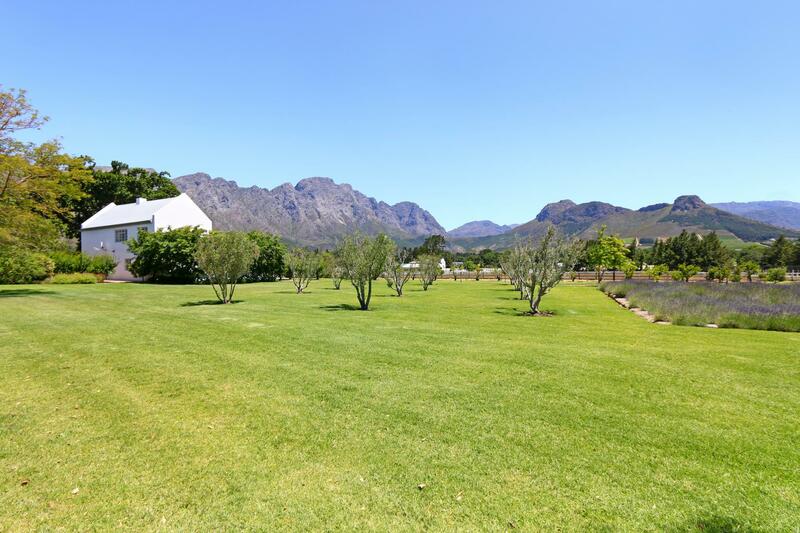 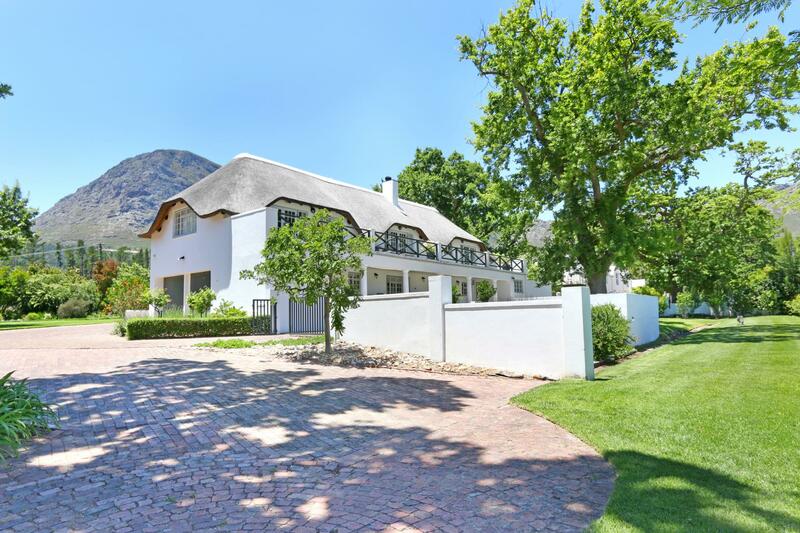 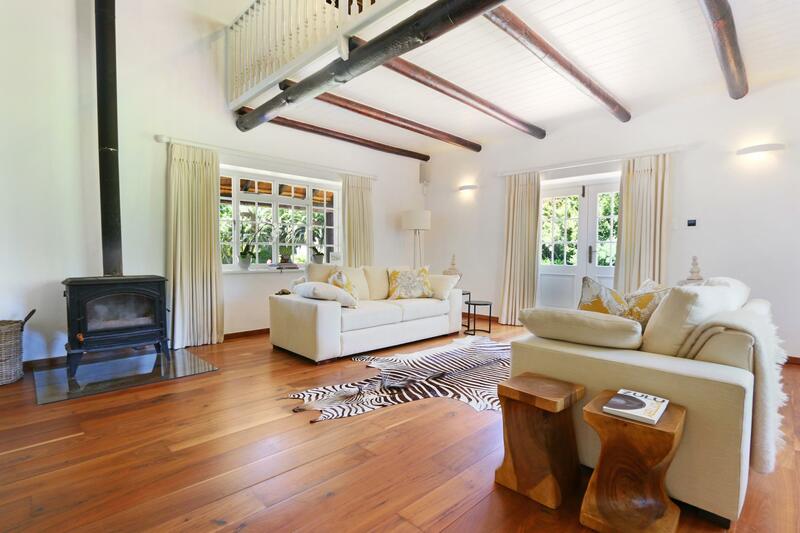 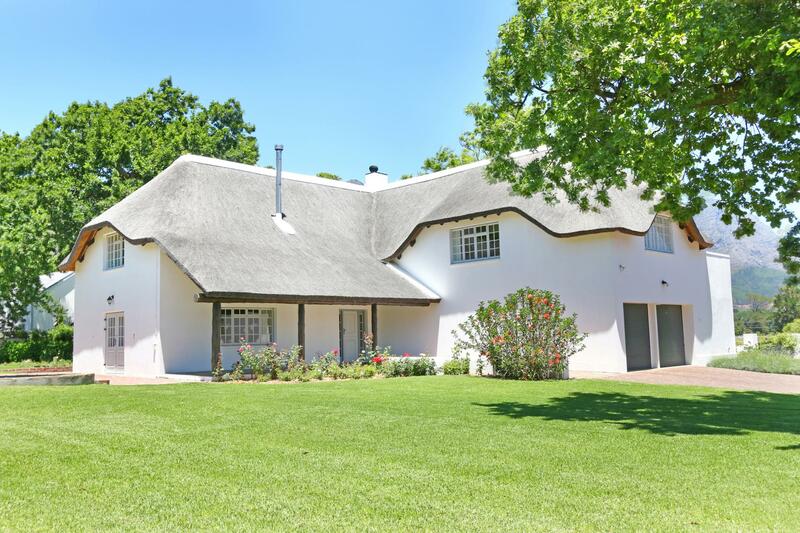 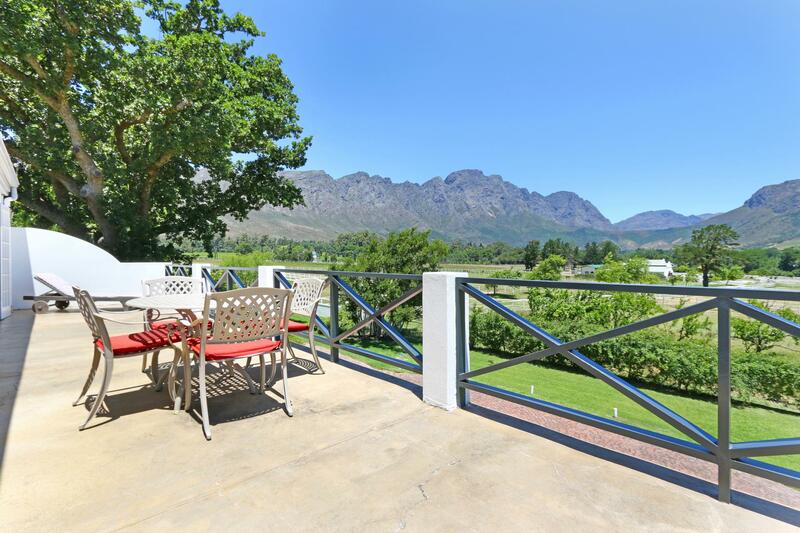 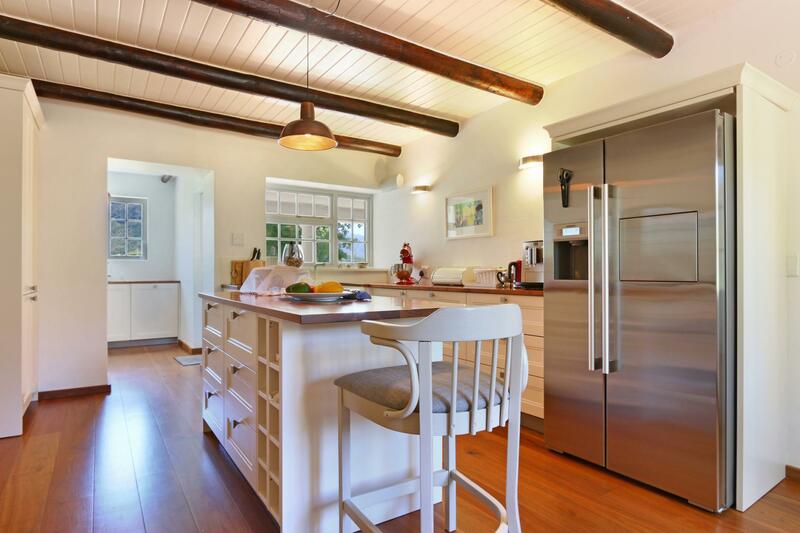 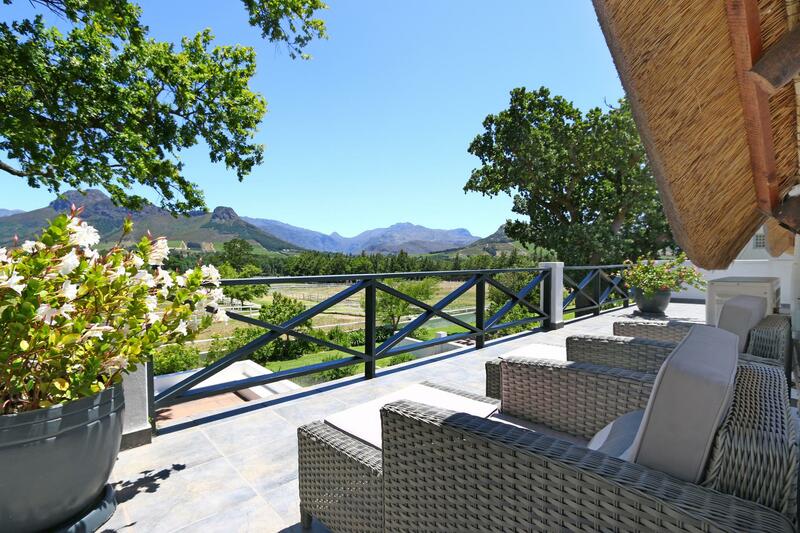 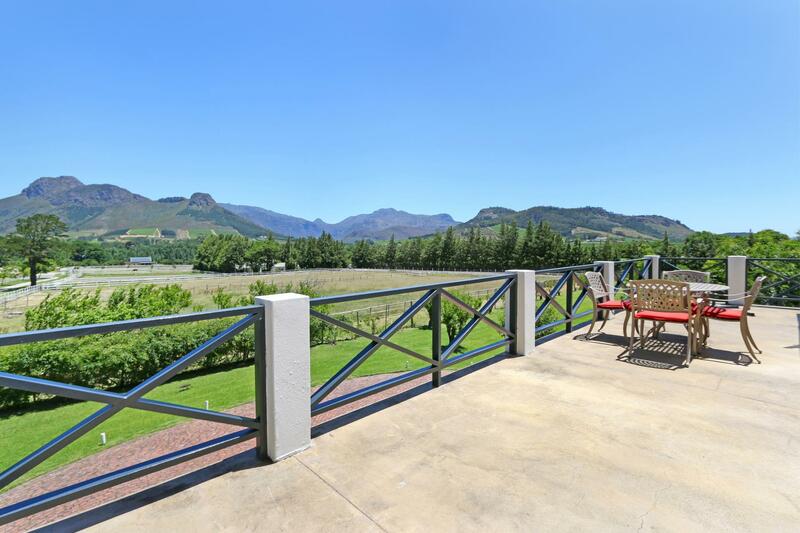 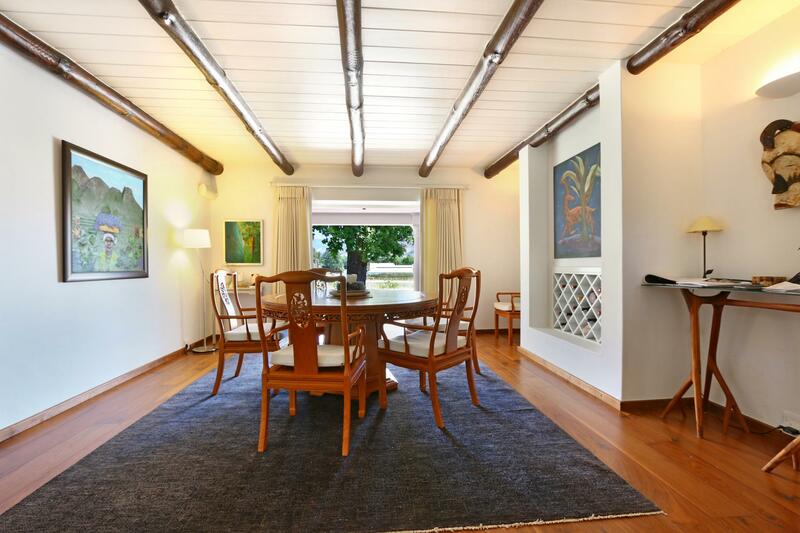 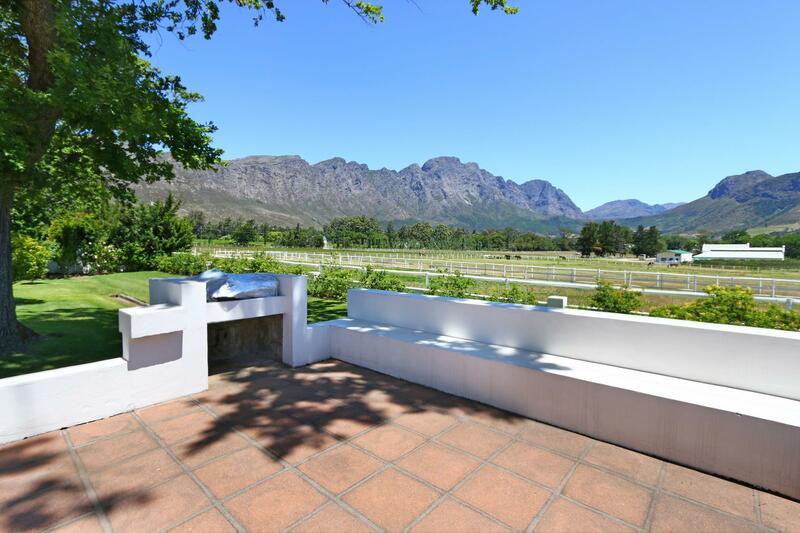 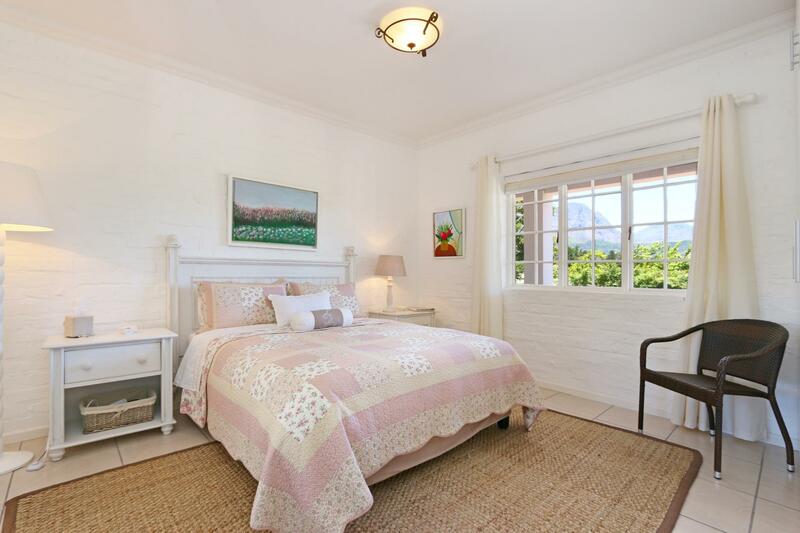 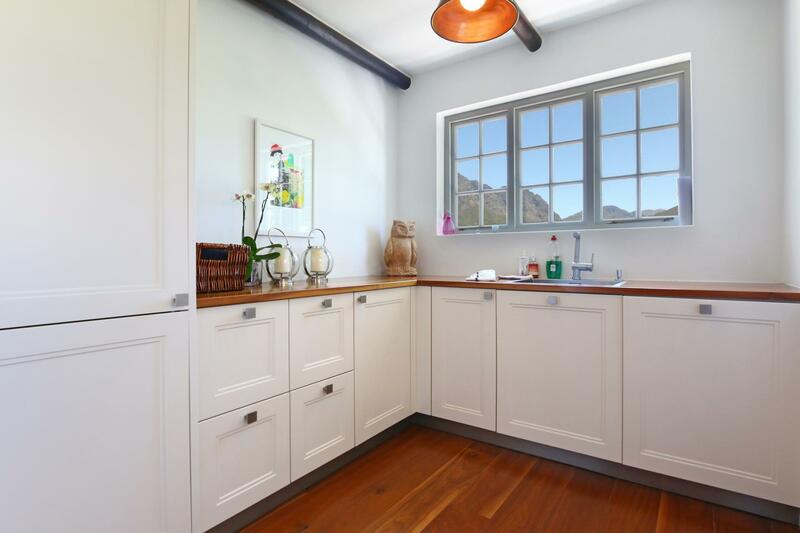 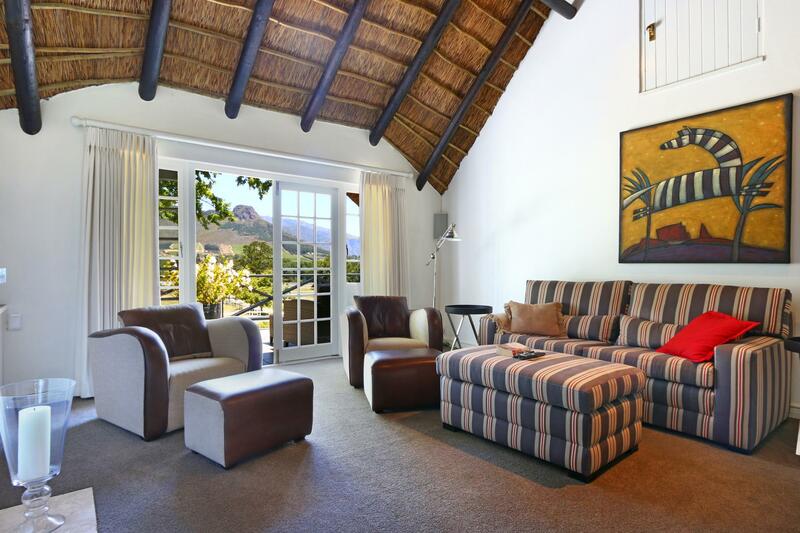 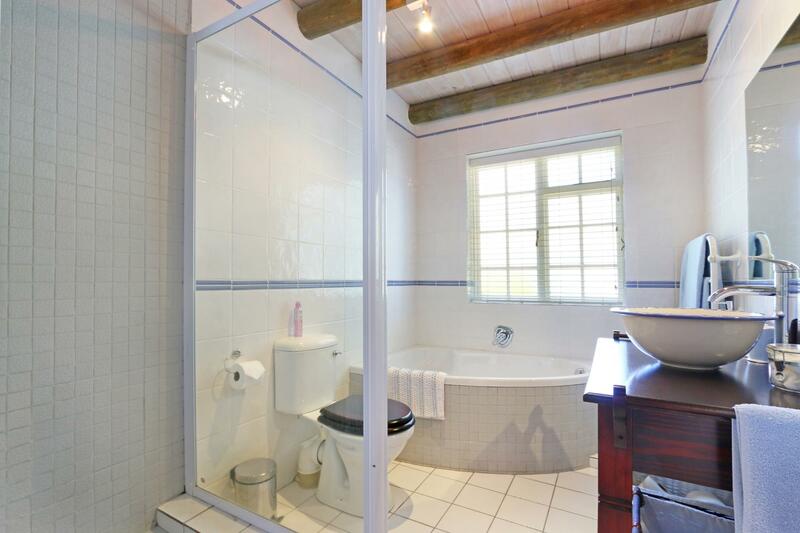 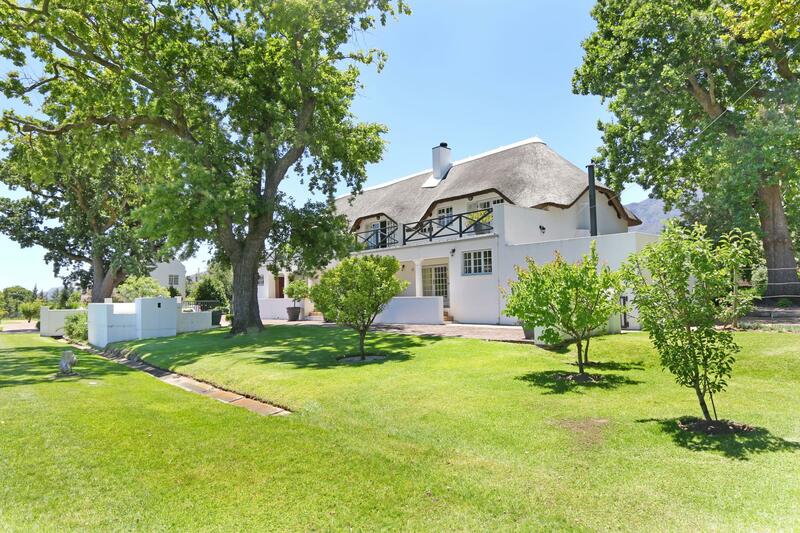 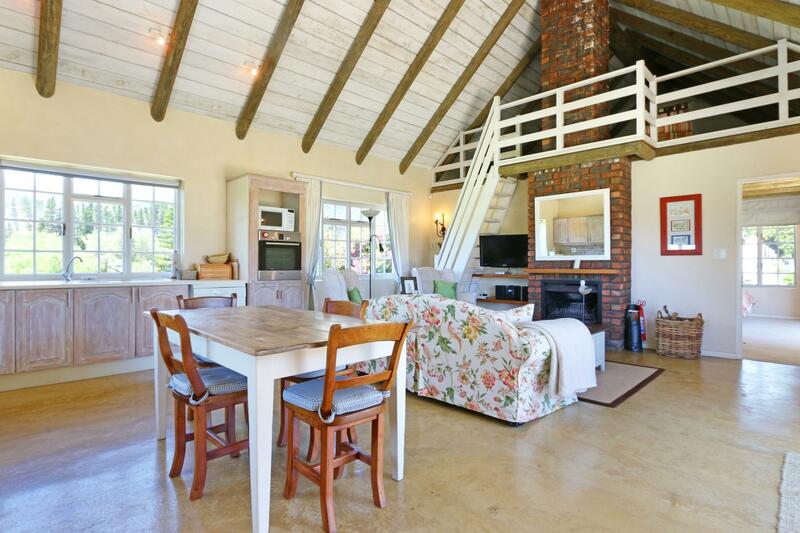 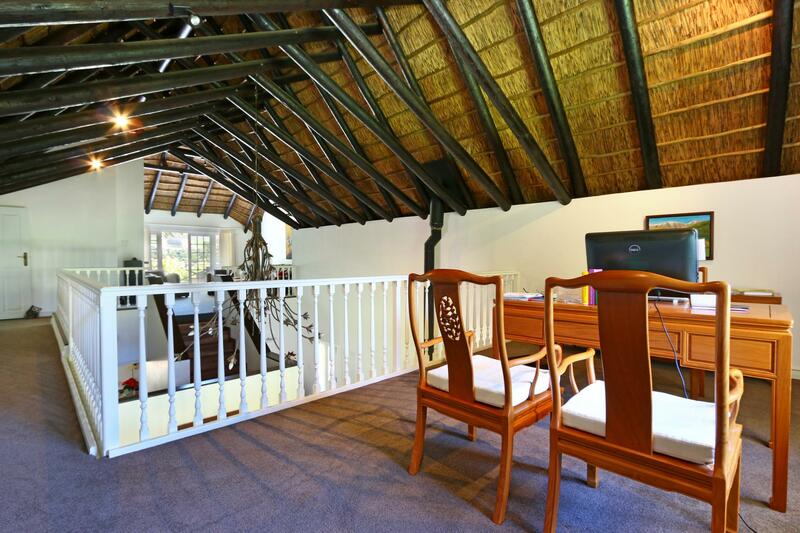 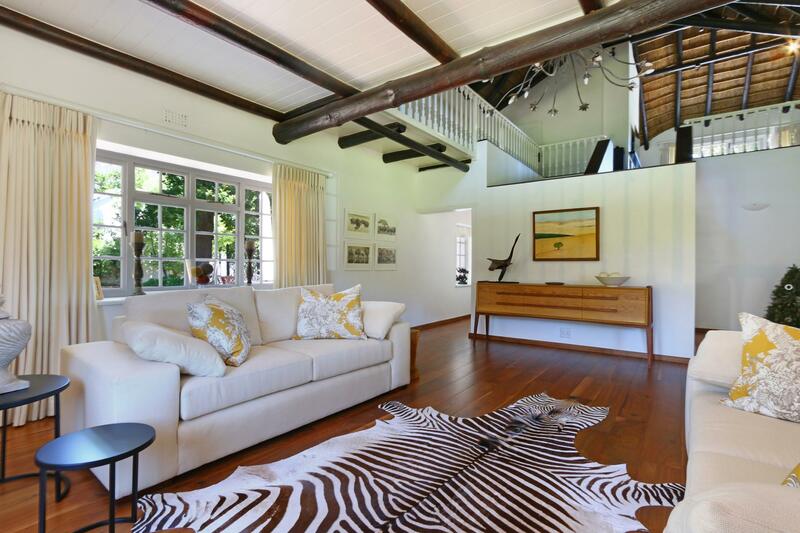 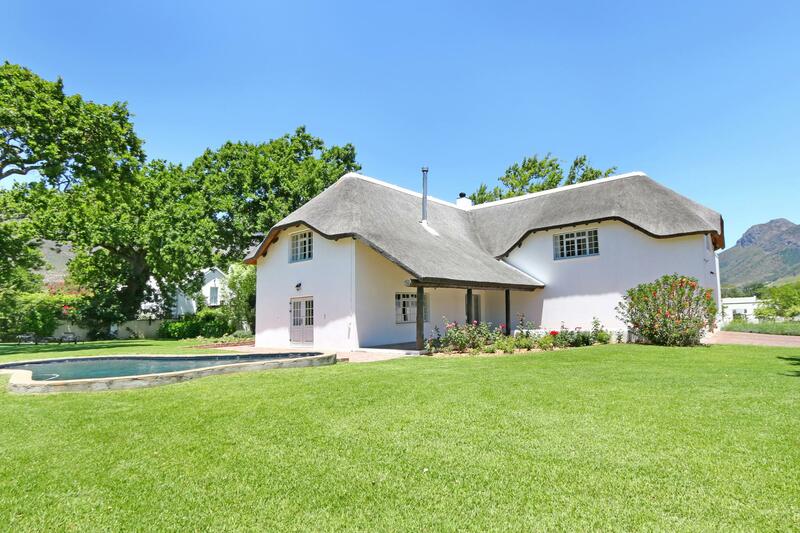 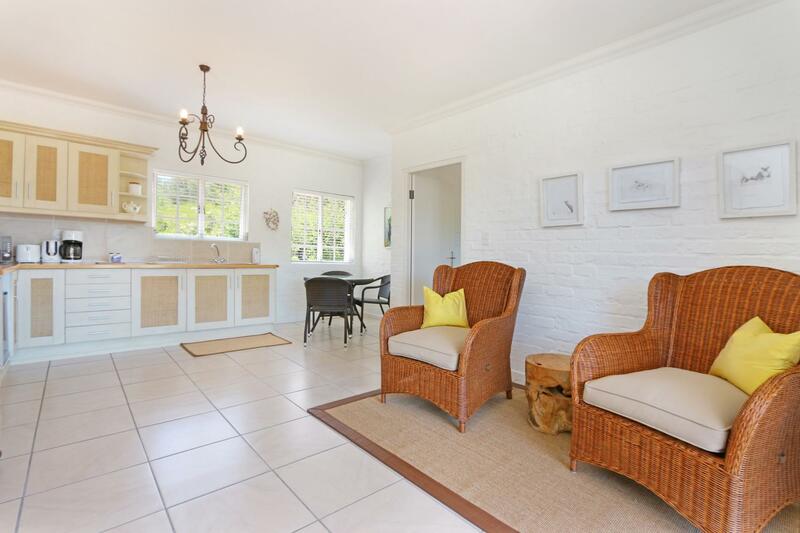 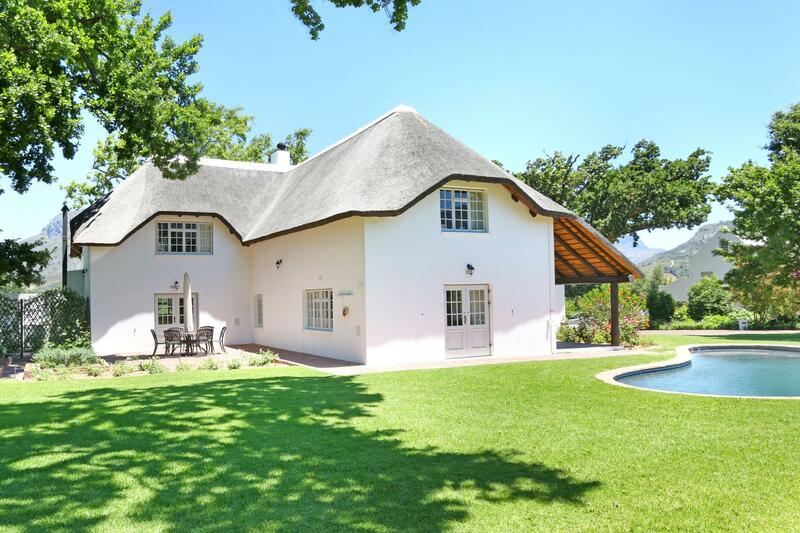 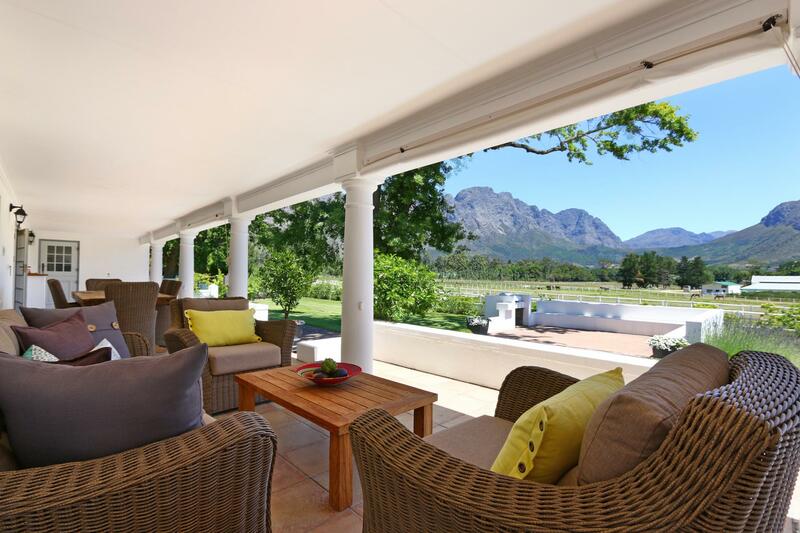 A large West facing stoep and upstairs terrace provide some of the best views in Franschhoek. 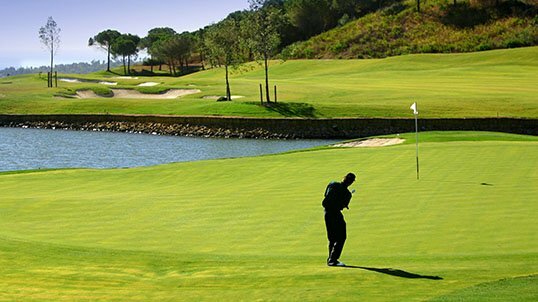 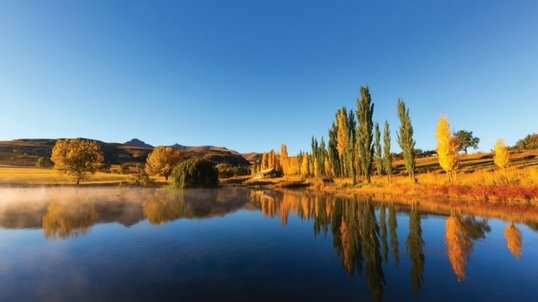 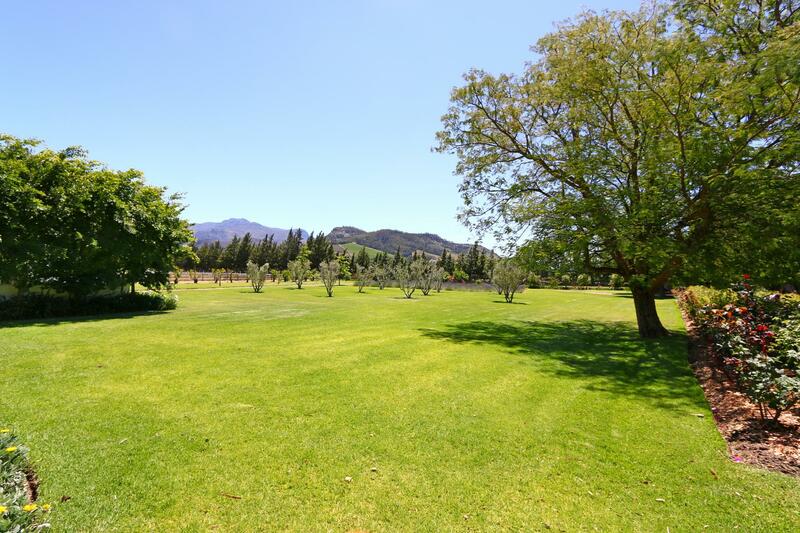 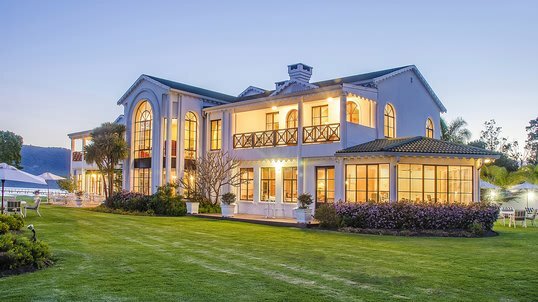 The grounds include manicured lawns, mature trees, two income producing self catering guest cottages separate to the main house, 1.2 hectares of cabernet sauvignon and merlot grapes, olive, plum and other fruit trees. 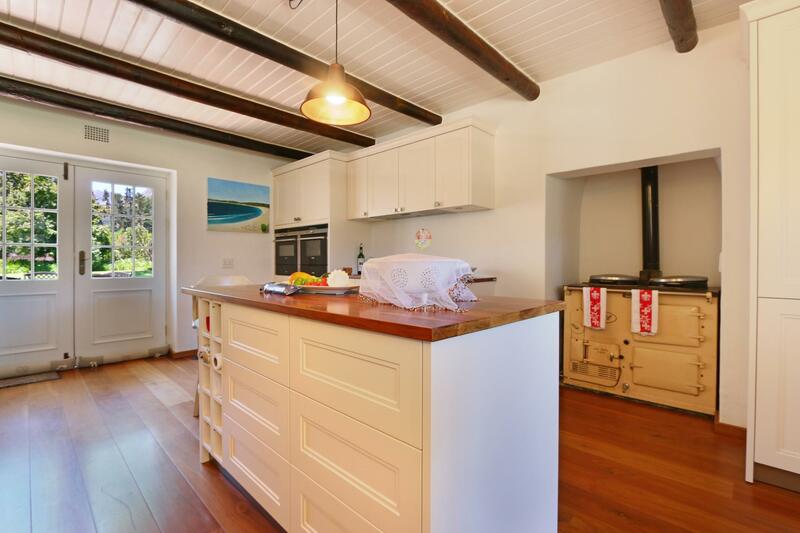 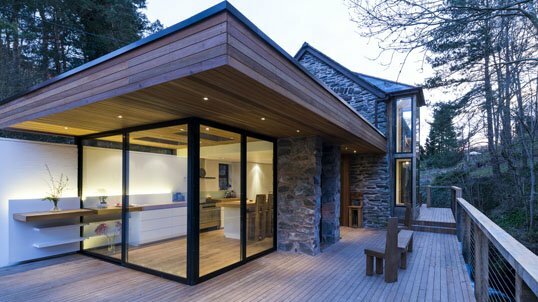 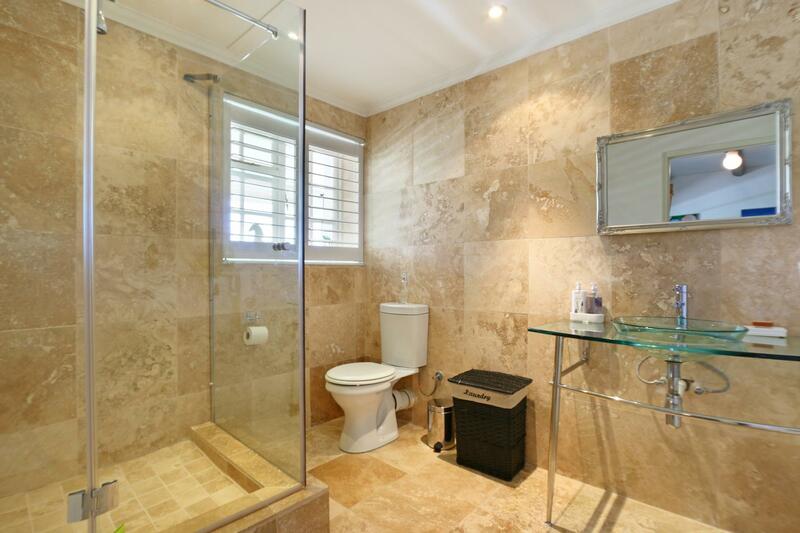 Also includes a large temperature controlled wine storage room and two staff cottages with separate access.